Bienvenidos! Welcome to Argentina. Today is your arrival day. You can arrive to your hotel at any time where an envelope with the necessary vouchers and contact details will be awaiting for you. Cosmopolitan, cultured and chic, Buenos Aires has European sensibilities with a fiery Latin heart. Discover colonial architecture, funky neighbourhoods, exceptional cuisine and a thriving nightlife. AIRPORT TRANSFERS If you have booked a transfer with us from either Ministro Pistarini International Airport (EZE) or Aeroparque Jorge Newbery (AEP) and have arrived on an international flight,our drivers will be waiting in the arrivals hall with an Intrepid sign displaying your name. If you are having trouble locating the driver, please call the emergency number listed on your trip notes. 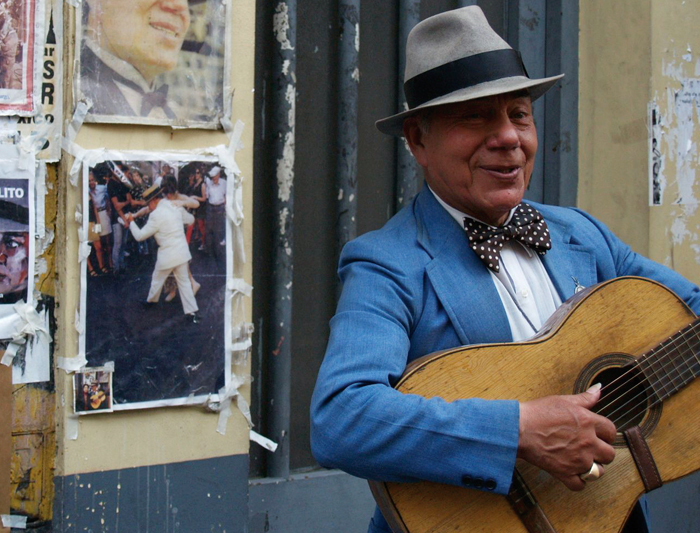 From working-class La Boca to the well-to-do streets of Recoleta, Buenos Aires is comprised of many distinct neighbourhoods, each with their own unique style to explore. Today you’ll enjoy a city tour. The tour starts with a pick-up from your hotel. Travelling down the main avenue in Buenos Aires ‘9 de Julio Avenue’ you’ll pass the Colon Theatre and the Obelisk. Soon after stop at Plaza de Mayor where you’ll embark on a walking tour, seeing things such-as the cathedral, pink house and pyramid of May. Moving on to San Telmo where we’ll make a quick stop. Sunday is the main market day where a large market takes over the streets with many stalls selling antiques, hand-made crafts and souvenirs. Next visit La Boca the colourful neighbourhood at the mouth of the Riachuelo river. 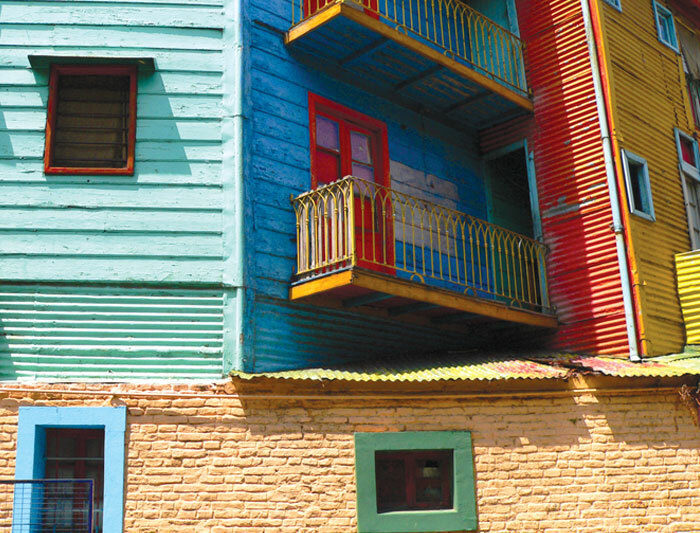 La Boca was first populated by Italian immigrants and the European culture is noticeable! Stop at the colourful Caminito street to get some photos and you’ll have some time to walk around. The next stop is Recoleta one of Buenos Aires wealthiest neighbourhoods, often referred to as the Paris of the South. Head inside the La Recoleta Cemetery, which contains the graves of some very notable people in Argentina such-as Eva Peron, the second wife of Argentine President Juan Perón and served as the First Lady of Argentina from 1946 until her death in 1952. Finally enjoy an included lunch at the Museo Evita Restaurante. After lunch you have the option of visiting the Evita museum on your own (not included in the price of this trip) or to be transferred back at your hotel. If you opt to visit the museum, you will need to make your own way back to your hotel. Housed in a striking 1923 mansion Evita museum celebrates the Argentine heroine with videos, historical photos, books and posters. However, the prize memorabilia has to be her wardrobe: dresses, shoes, handbags, hats and blouses are all on display. Please note as the transfer is a shared service, should you decide to visit the museum after lunch you will need to make your own way back to the hotel afterwards. 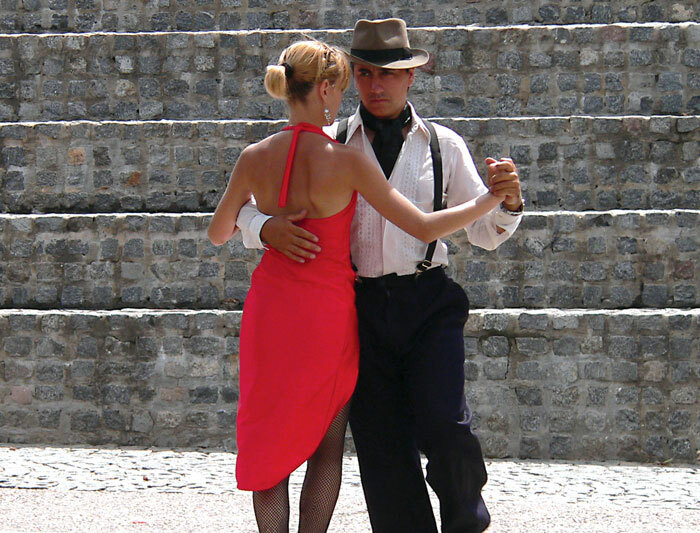 Tonight you will have the option to enjoy an authentic tango experience at a Milonga, where the locals head to dance.